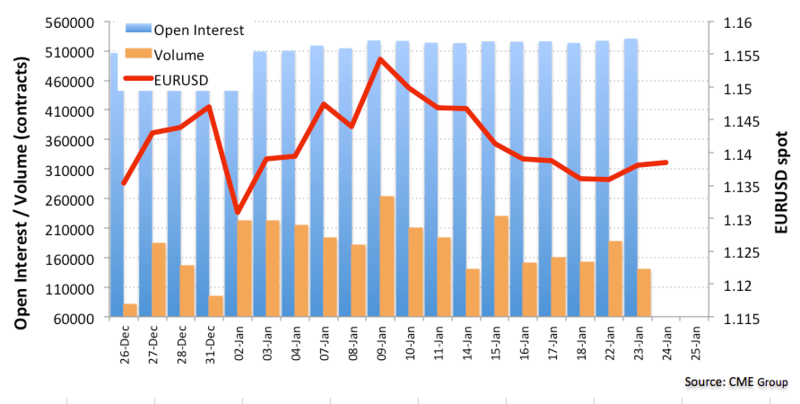 Preliminary figures for EUR futures markets from CME Group noted open interest rose by nearly 3.7K contracts on Wednesday from Tuesday’s final 527,176 contracts. On the other hand, volume dropped significantly by almost 48K contracts. Wednesday’s up move in EUR/USD was in tandem with another build in open interest while volume extended the choppy performance. Despite further upside is not ruled in the near term, the broader sideline theme is poised to remain unchanged in the near term.